The Telegraph has published a piece warning that green belt land is increasingly likely to be targeted by councils wanting to build more houses. The piece cites the National Trust, which has warned that over half of local councils plan to build on protected rural land, despite other land being available. The photo used to illustrate the Telegraph‘s feature is of Chipping Norton – the common, taken on an idyllic summer’s day. The houses the caption suggests are encroaching on green belt land actually constitute a major part of the town: the view is towards The Leys and West End – housing on those roads is largely Victorian, not the result of current local councils by any stretch – and includes the long-empty office building between Crafts Mill Terrace and Station Mill. The caption gives the wrong impression of what the photograph shows; but the piece as a whole does draw attention to the issue of future house building, and where these houses should go. 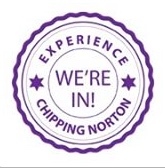 It’s a particularly pertinent issue for Chipping Norton. The recent plan to build houses over farmland on Churchill Road has been rejected; but meanwhile, there are three empty sites on Spring Street (two owned by the County Council) and the plot of land next to the Blissfield Gardens estate, earmarked for business units, but currently used by Stagecoach buses. Yet the National Trust – according to the Telegraph – says that “half of the councils in England with green belt land were preparing to allocate some of it for development ahead of brownfield sites”. What do you think? Should brownfield sites be allocated for development before green belt land? Or is the need for housing so acute that rules on building on green belt land should be relaxed? We’d be interested to hear your views. This entry was posted in local services, news, places and tagged brownfield sites, Chipping Norton, Chippy In The News, development, green belt land, housing, National Trust, Telegraph. Bookmark the permalink. 1 Response to Where will future Chippy housing go? Whoever wrote this article and the one in the Telegraph should do their research properly ! Growth in inappropriate locations should be prevented but Chippy needs to grow. Those 3 brownfield sites couldn’t accommodate more than 80 houses and Chippy needs 600 plus and that is before the SHMA ( strategic housing market assessment) comes out later this month which will increase this number further. AONB (Area of Outstanding Natural Beauty) is NOT Green Belt. Let it grow for future generations and don’t strangle it!